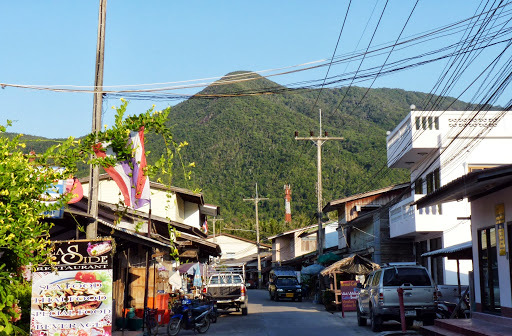 Far away from the overrated full moon parties at Haadrin and Thongsala lies Chaloklum Village. The fishing port, beach, and town are set in a deep, lush, and protected North facing bay. 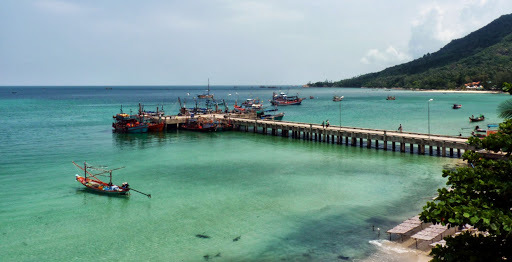 The town itself is composed of a 1 kilometer strip of low-level traditional Thai shop houses, small restaurants, bars, cafes, and shops that line Chaloklum Bay. Just as the village has retained its traditional architecture, the traditional way of life has continued in this active fishing community. Squid boats work the harbor, fish dry in the sun on racks along the beach, children attend the local school, and the temple is still the center of village life. The bay near town is, like fishing ports everywhere, strewn with marine junk, an old jetty and the walls of collapsed houses eaten away by natural erosion. Several resorts have established themselves to the left and right of the central village, but we prefer to stay in the charming town itself. 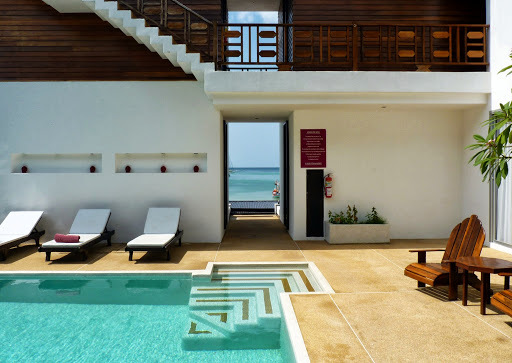 A five minute walk from the jetty lies the Mandalai Hotel where we loved the beachfront suite.